CHRISTMAS NAILS! I don't think it gets any more festive than red nails for the holidays. 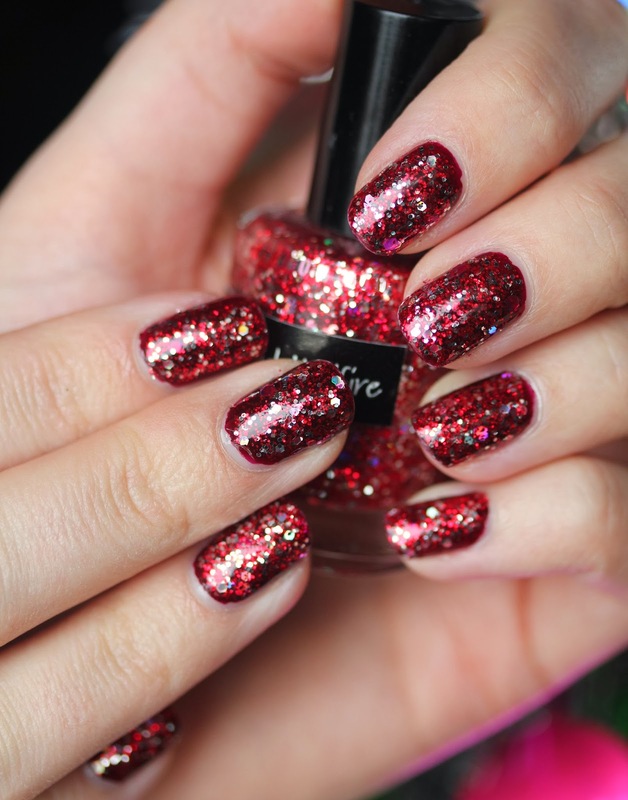 Holly and Hellfire by CrowsToes is an amazingly dense glitter polish. I used one coat over China Glaze Prey Tell (a deep burgundy, almost black). Look out for a few more holiday manicures before Christmas. This might be one of my favorites so far though. I can't tell you how many compliments I received whilst wearing this polish.